Well there you go, I stopped at non descript little reserve in Bunbury with hardly a bird around. There is my 172th tick and for these parts a rather rare duck. Well done. Always exciting to get a new bird, especially when it is unexpected. And there was a Hardhead duck there instead which I rarely seen as well. Then I went back the next day and there was a pair of Pink ear ducks there instead which I also rarely see around Bunbury. They're putting on a great show for you, laza. Hi Laza, normally I've seen a pair at the small park at the Port entrance for the last few years. Last Monday I spotted a pair with ducklings in the flooded paddock opposite the Shell gateway from the Picton - Port access road. 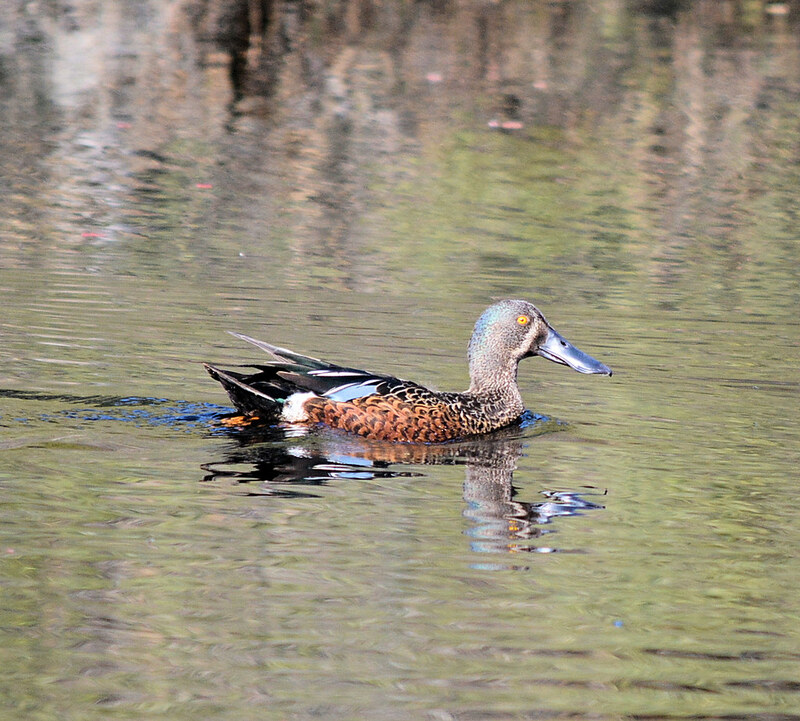 The shoveler seems to have gone but pair of pink ears and hardheads are remaining at that small reserve on corner of south west hwy and Vittoria rd, Glen Iris.